Kitchen counter top is the place where the majority of activity takes place. Counter tops can make all the difference to the look of the kitchen-cheap surfaces can downgrade a smart kitchen, while smart choices can make basic furniture look like an expensive designer fit. But you need to think of its practicality as well as its style. Different materials have different merits. 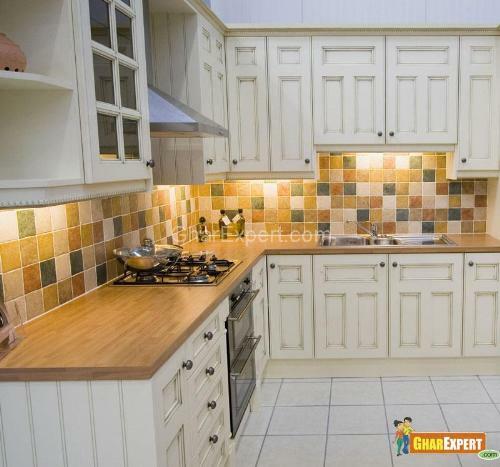 Remember, your kitchen does not need to look like that of a television cook unless you want it to, it should suit your own requirements, not somebody else’s. 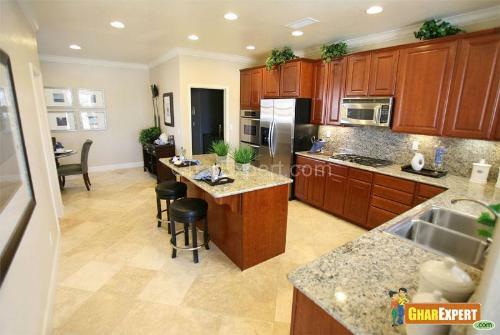 There are so many choices available in countertops - marble, laminate, granite etc. It depends mainly on your budget which type of counter top you want to buy. Choose the right countertop material for your kitchen so that it will harmonize the various elements of your kitchen including the cabinets, appliances etc. The kitchen counter tops must be able to withstand cuts, heat, dampness, grease and corrosive products. 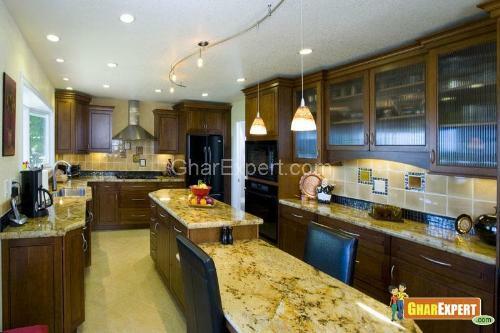 Granite is one of the best choices for counter tops in the kitchen. It is widely used and enhances stylishness of the kitchen. Granite countertops comes in a variety of colors and holds up heat. It’s long lasting, maintenance-free and tough. It’s repairable if scratched ever and does not let bacteria grow randomly. The tops are inflammable when any hot pots are set on them. It is made from one of the hardest materials like a diamond. It absorbs stains if not sealed and can crack if installed improperly. Laminates are available in a variety of styles, colors, and textures. The top is made from plastic-coated synthetic having a smooth surface. It is impact resistant, quite easy to clean and maintain, durable but not permanent. It is good looking forever if proper care is taken. It has some disadvantages also because it is impossible to repair scratches and cuts on plastic laminated tops. The end finishing and front ages are very costly. The tops are available in a variety of colors and finishes and give a beautiful look. The tops provide warm and relaxing feel in your kitchen. Hardwood such as maple and oak are mostly used as counter top wood. The tops are preferable because they are easy to clean, smooth and can be sanded and resealed when required. A wooden top is long lasting if it’s sealed and installed properly. Hardwood tops are usually costlier than laminate but it is less expensive than stone, granite, solid surface, tile or steel. The top has some drawbacks because it can be damaged by water and get stains after some time. 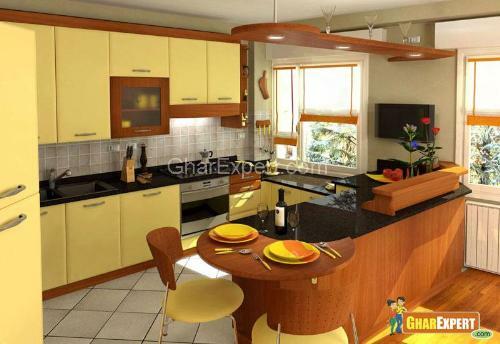 This top is a good choice for modern look of kitchen. It is durable and heat resistant, nonporous and limits the growth of bacteria. It’s easy to clean hygienic, light in weight. It’s expensive, noisy and is dented. Its fabrication is very expensive and you can not cut it. The tops provide you nice way to décor the home. It can handle hot pots and do not chip or scratch. It requires minimal maintenance and is wiped with baby oil to become smear-free. It can show fingerprints hence not the best choice for young children. The tops are used to get luxurious look. They are very beautiful, waterproof, and heatproof but require regular maintenance. You will need to use sealers to stop staining. They are very expensive, porous and stain easily unless sealed properly. They can scratch and need periodic sealing.